BIOS Recovery Boot Block is a special block of BIOS. It is used to boot up the system with minimum BIOS initialization. Users can enable this feature to restore the BIOS firmware to a successful one once the previous BIOS flashing process failed. The system provides a function hotkey: Fn+Esc, for enable BIOS Recovery process when system is powered on during BIOS POST. To use this function, it is strongly recommended to have the AC adapter and Battery present. If this function is enabled, the system will force the BIOS to enter a special BIOS block, called Boot Block. Before doing this, a Crisis Diskette should be prepared ready in hand. The Crisis Diskette could be made by executing the Crisis Disk program in another system with Windows 7 OS. Plug in the USB disk. Launch the wincris.exe program to create a USB Crisis Disk. Click Start to initiate the process. Select the Quick Format option to format the disk and click Start. Follow the instructions on the screen to create the disk. Copy the KAYF0X64.fd BIOS file into USB flash disk root directory. NOTE: Do not place any other *.fd file in the USB flash disk root directory. Plug USB storage into USB port. Press Fn + ESC button then plug in AC power. The Power button flashes orange once. Press Power button to initiate system CRISIS mode. When CRISIS is complete, the system auto restarts with a workable BIOS. 4. Update the latest version BIOS for this machine by regular BIOS flashing process. How to boot recovery disk acer aspire 5942g? How to make a crisis usb disk for acer 5235? How to Create a recovery USB drive to update the Bios on the unit? 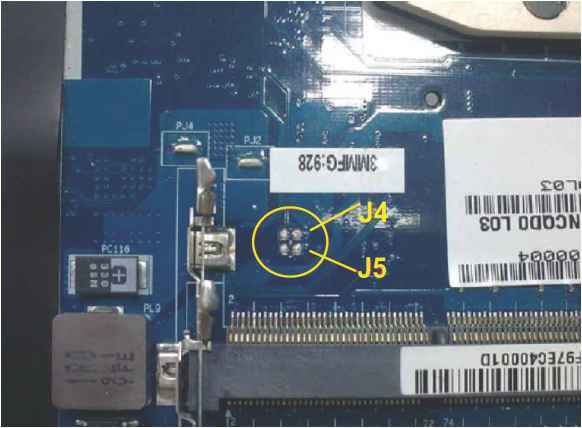 What is the bios of acer 5942?